Our caring, compassionate weight loss team here at Destination Weight Loss is committed to supporting you throughout your weight loss journey. We understand the unique challenges faced by people who struggle with obesity, and we’re here to answer all your questions, offer ongoing support, and help you achieve the best possible outcome from your bariatric surgery or non-surgical weight loss procedure. Along with Dr. Groves and Dr. Britt, our weight loss team includes a number of experienced, licensed nurse practitioners and registered nurses. Our support staff members facilitate patient education seminars, conduct weekly support groups, and provide direct patient care before, during, and after each bariatric procedure. 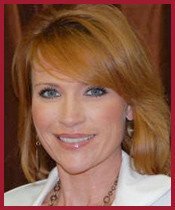 Amye holds a Bachelor of Science in Nursing and Adult Practitioner degree from the University of Alabama in Birmingham, and has been a valued member of our weight loss team since 2008. As an active member of the Integrated Health Section of the American Society of Metabolic and Bariatric Surgeons, Amye has pursued specialized training in Roux-en-Y Gastric Bypass, Gastric Banding, Sleeve Gastrectomy, as well as ORBERA non-surgical weight loss procedures, making her an excellent resource for all of our patients here at Destination Weight Loss. 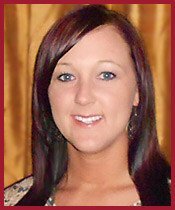 Nichole is an experienced, dedicated Registered Nurse who joined our team in 2011. 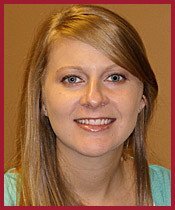 Her work includes providing direct care to both bariatric surgery and non-surgical patients as nursing coordinator for Dr. Groves as well as providing assistance to our nurse practitioner, Amye. 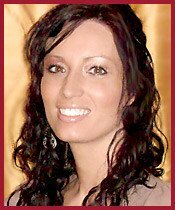 Tara has been a valued member of our weight loss team since 2009. She works closely with pre-operative bariatric surgery patients to provide vital information, support, and guidance prior to procedures like LAP-BAND, gastric bypass, and gastric sleeve surgery and serves as nursing coordinator for Dr. Willis. Elizabeth joined our weight loss team in 2004, and she is the nursing coordinator for Dr. Britt. Elizabeth works with surgical and non-surgical weight loss patients during every step of their weight loss journey. In addition to pursuing specialized training in bariatric surgery, Elizabeth has earned the Lap-Band Total Care Champion designation as a result of her expertise in adjustable gastric banding for bariatric patients. To schedule a consultation with one of our bariatric surgeons or to learn more about our caring, compassionate and skilled weight loss team, contact Destination Weight Loss in Albertville, Alabama at 256-960-8043 or in Guntersville, Alabama at 256-400-0027.